Back by Popular demand. 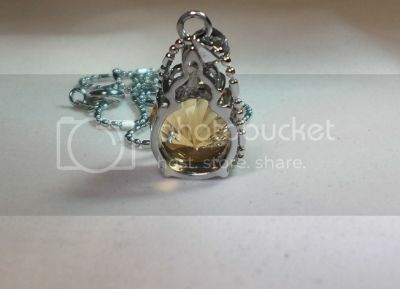 Lemongrass stone pendant jewelry. Great as a gift item. No one would even know it is a Talisman. Great item to be used by anyone of any faith & religion. 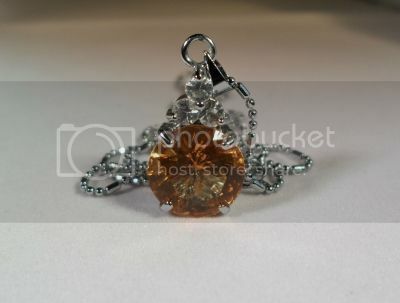 Photo: front & back view of Lemongrass stone pendant. Lemongrass stones are mystical stones that are extracted from underneath certain special lemongrass trees. They are extremely rare to find. These stones are hidden/kept at certain chosen trees by beings from the other realm mainly forest dwelling elves who use these stones for their own purposes. A sign that the tree contains these lemongrass gems is that the flower is tilted towards the direction of the sunrise. For starters lemongrass trees very seldom flower but if an ordinary person tries to extract the stones they will not be found, only those that are adept in the extraction process will be allowed to access these stones. Sometimes even the experts struggle to obtain them taking up to 3 continuous days of prayers and digging around the surface. If the khodam that is taking care of these gems allow for it to be removed to the extractor then it will be released, but there is no exchange process and this item is not khodamic, however it has its own natural qualities. To be worn around your neck as a pendant. Wear as you would like a talisman. Approx. stone size: 1.3 cm. Free Metal or String Necklace Length: 21cm. Colors available: Yellow, Red, Purple, Black, Green, Blue & White. Pls. let us know your color choice and we will check stock availability for you. Shapes available: Round/Oval as in photo.